The positive growth of Dubai’s economy, led especially by the strong performance of its core sectors such as retail, tourism, hospitality, financial services and logistics, has sustained the commercial real estate sector in the city. The commercial real estate sector also gains impetus from the growth in trade, with Dubai Customs reporting that non-oil trade has registered a compound growth rate of 6.1 per cent in the past five years. The announcement of the Dubai Industrial Strategy and its focus on promoting manufacturing has also energised the industrial sector, increasing further the demand for logistics facilities and office space. Dubai as a central trade and transport hub, connecting East and West and serving as the window to high-growth markets in Africa and South Asia, is among the top choices for multinational companies in establishing their regional headquarters – again driving demand for prime commercial real estate. Demand for prime office space is strong. In the industrial sector, Al Quoz Industrial Area, Dubai Investments Park and Jebel Ali Free Zone (Jafza) are sought-after destinations. Dubai Investments Park has seen significant growth in infrastructure development, while Jafza is already a vibrant hub for businesses. However, demand for commercial space in Al Quoz Industrial Area is significant due to its proximity to the city and Sheikh Zayed Road and the high returns on investment (RoI). While Downtown Dubai and Dubai Marina are among the most sought-after for retail space, generating the highest RoI, Downtown Dubai and nearby neighbourhoods are highly preferred for office space – given their proximity to the business nerve-centres in the city. 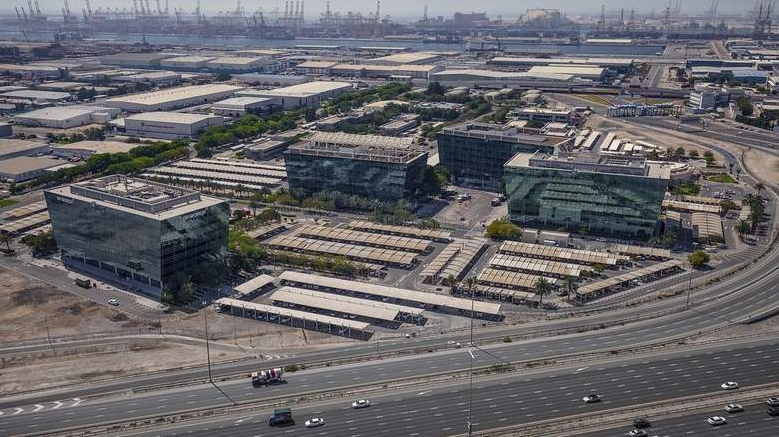 These locations – both for retail and office space – are also sought for their connectivity, with links to the Dubai Metro, Dubai Tram and public transport. The draft of the sale and purchase agreement should be reviewed thoroughly. Potential customers must also consider the payment terms available and try to negotiate the terms to manage their cash flow, especially when one is investing for personal use. For all projects, it is important that the type of licence of the commercial end-user must be considered. Among other top considerations is the nature of business activity – areas that will offer maximum exposure for one’s business should be selected. Investment in commercial real estate must also factor in whether the office space is fitted or shell and core, and this decision also hinges on one’s personal preference. Many businesses today tend to go for bespoke office design, based on their brand values, identity and outlook. The amount of space needed for the business must be considered with an eye on future growth and projections. For potentially fast-growing businesses, it makes sense to invest in larger areas, which helps in achieving efficiencies of scale. The availability of employee visas, as per industry licence and nature of activity, will help in deciding the space. Most importantly, commercial real estate purchase must consider the permits required in any area to open and seamlessly run their business – especially for retail, hospitality and other sectors.